You’ll see over twenty wood, stone, glass and advanced materials machines in action at the Biesse Group Sydney Grand Opening exhibition later this month, and hear from the industry’s best about what matters most in the manufacturing game. Explore 2000 square metres of machinery, tooling and software, and check out the latest in hardware, product and material solutions and edgebanding, ducting and compressor systems – all under the one roof! Of course, if you’re investing in top quality machinery, you’ll want to make sure your software’s the best, too. 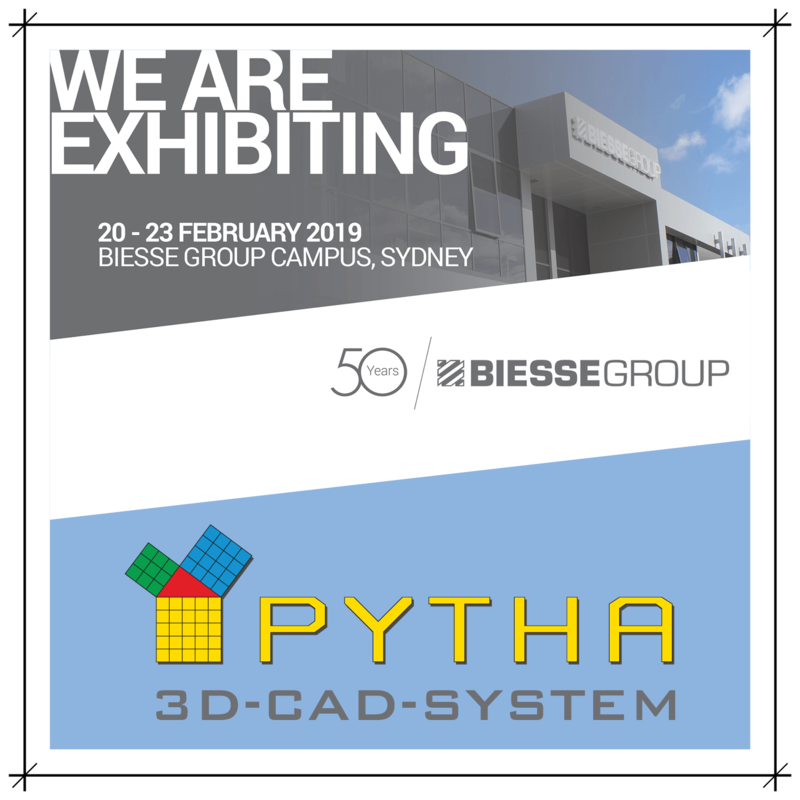 Pytha Partners will be showing live demos and sharing our top tips at the Biesse Grand Opening, so if you’re keen to explore the full potential of PYTHA 3D CAD, make sure you come and see us.